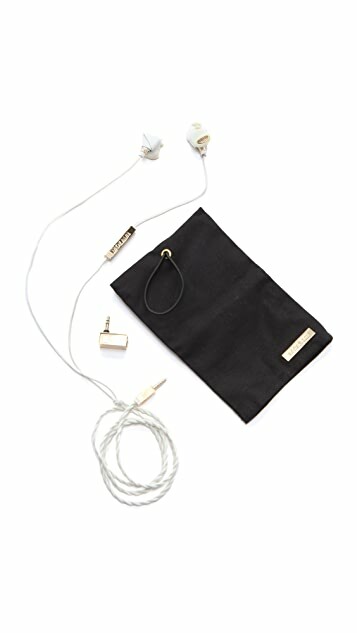 An elevated way to listen, these earbuds have feature elegant nappa leather knots. An innovative EarClick system secures each bud at two separate points in your ear, keeping them firmly in place. Logo-covered microphone and remote at fabric-wrapped cord. Additional size pads and fabric pouch included. These buds were a great purchase! I got them in black and I've had them for months and they are perfect! 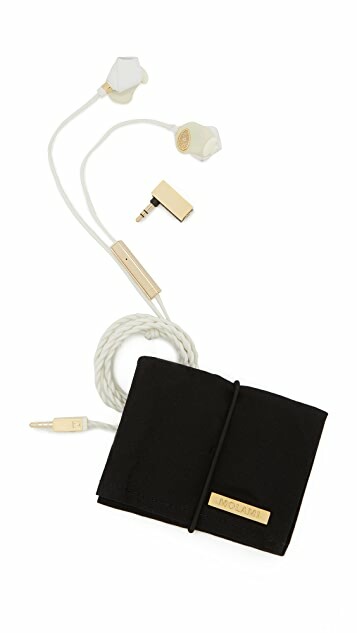 Great sound and noise cancellation plus super cute and stylish! What more could you ask for? Happy to buy! Price is a little bit high however the quality is good. Holy smokes, these are cool. 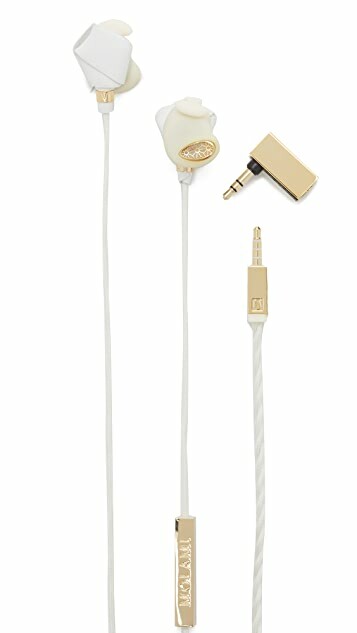 Probably my favorite ever electronic accessory, definitely fave headphones. I was expecting them to be a lot smaller from the picture, but I do not mind that they're not at all. The size doesn't actually matter because you don't hardly feel them in your ears. It fills the hollow of your ear and doesn't protrude very far at all. The click technology is genius. So comfy. 5 sizes to choose from to maximize comfort and fit. My ears have never been this comfortable with in-ear headphones. As the other reviewer said, the sound is really great, incredible even. I would be careful walking across streets with these in. Thanks to that reviewer! She convinced me to try these, so glad. The only complaints are that with a case on your (iPhone) you may not be able to plug it in w/out the adapter. With the adapter in, I am not able to use the cord mic functions - at least for music, haven't tried phone. The cord mic also does not control volume. But it does Siri.